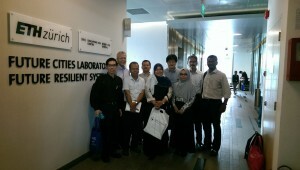 Prof. Amran Hamzah (second from right) leads the UTM delegation towards concretising research activities with the SEC. 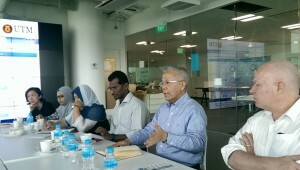 Sitting to the right of Prof. Amran is Prof. Stephen Cairns, Future Cities Laboratory (FCL) Scientific Director. 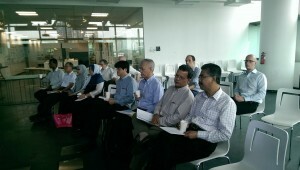 Full UTM Department of Urban and Regional Planning delegation at the SEC’s Future Cities Laboratory.